You need to be a Full Member and/or Herd Share Holder to order this product. If you are not logged in, please Login to your account or click here to Register. If you need to purchase a full membership, please click here. If you are a Full Member and need to purchase a Herd Share, please click here. 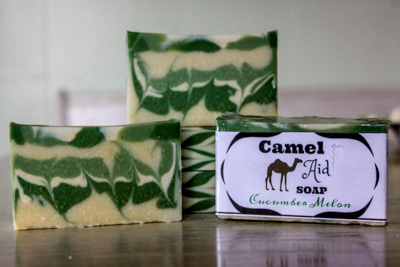 Cucumber Melon-A very popular variety, our cucumber melon is a simple, mild soap that is excellent for those with more sensitive skin or those who just prefer to go back to the basics. It is cleansing, moisturizing, and soothing, while also maintaining a good lather. The cucumber melon fragrance is irresistible!